I embarked on the Linux journey in 2004 when I joined the newly founded Canonical and its not-yet-named Ubuntu team. I knew there was incredible opportunity around Linux but even then it wasn’t clear how pervasive Linux would become in all corners of technology, industry and society. Linux started its journey as a platform for researchers and developers and over the last 25 years it has become the innovator’s production platform across all computing platforms we use today. Perhaps it is fairer to say that the world has become developer-led, and since Linux is the first choice of developers, the world has adopted Linux by default. Servers, mobile, IoT and more all primarily run on Linux because the developers who make the most interesting things generally start on Linux. Canonical is proud to support Linux with Ubuntu as the developer platform of choice. Enabling developers to be agile and effective is the best way to encourage the next wave of technical innovation. The leaders in drones, robotics, blockchain, artificial intelligence, self driving cars, computer visions are all blazing their trail on Ubuntu today and they are the technologies that will shape our lives in the coming years. Canonical shapes Ubuntu to be the fastest, easiest and most economical way to deliver innovation in real products – from the cloud to the edge of the network. We’re also incredibly proud to continue to support Linux’s journey as the production platform for the enterprise and telecoms infrastructure we see today. Ubuntu is used in more than 55% of the production OpenStack clouds around the world. Enterprise and Telco deployments on Ubuntu have changed the way business deploys IT infrastructure. And we are already leading on what’s next for the future of cloud computing with NFV, Containerisation, and Machine Learning. On the IoT front we’re reshaping the nature of the device and the software operations experience for distributed computing with Ubuntu Core, built for IoT deployments where transactional upgrades, constrained environments, and security are the primary requirements. While the cloud runs almost entirely on Linux, we think the desktop remains an important focus for Linux innovation too. Ubuntu started from the desktop, and is still innovating with the creation of a unique experience that converges the mobile and desktop worlds. Containers of all forms – docker, LXD and snap packaging are a new way for developers to design, distribute and run applications across clouds, devices and distributions. 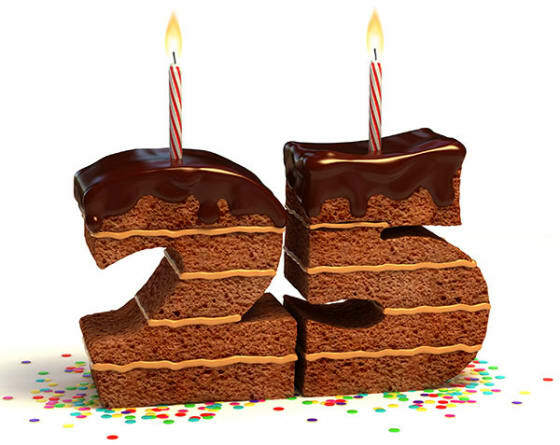 So what does the next 25 years look like? As they say, the future is already here, just not evenly distributed. With machine learning progress going exponential, I think societies in future can expect to put even more trust in software for their everyday needs, and I’m glad that the trend is increasingly in favour of software that is shared, that is free for all to build upon, and that can be examined and improved by anybody. Public benefit depends on private innovation, and the fact that Linux as an open platform exists enables that innovation to come from anywhere. That’s something to celebrate. Happy birthday, Linux!